Narrated by dozens of activists and everyday individuals, this book documents the unprecedented events that led to the collapse of dictatorial regimes in Tunisia, Egypt, Libya, and Yemen. Beginning in 2011, these stories offer unique access to the message that inspired citizens to act, their experiences during revolt, and the lessons they learned from some of the most dramatic changes and appalling events to occur in the history of the Arab world. The riveting, revealing, and sometimes heartbreaking stories in this volume also include voices from Syria. 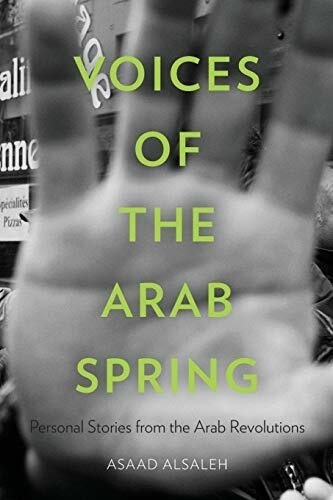 Featuring participants from a variety of social and educational backgrounds and political commitments, these personal stories of action represent the Arab Spring's united and broad social movements, collective identities, and youthful character. For years, the volume's participants lived under regimes that brutally suppressed free expression and protest. Their testimony speaks to the multifaceted emotional, psychological, and cultural factors that motivated citizens to join together to struggle against their oppressors.